The hotel is located in the most developed part of Bakuriani, the Didveli area, near the gondola ski lift. 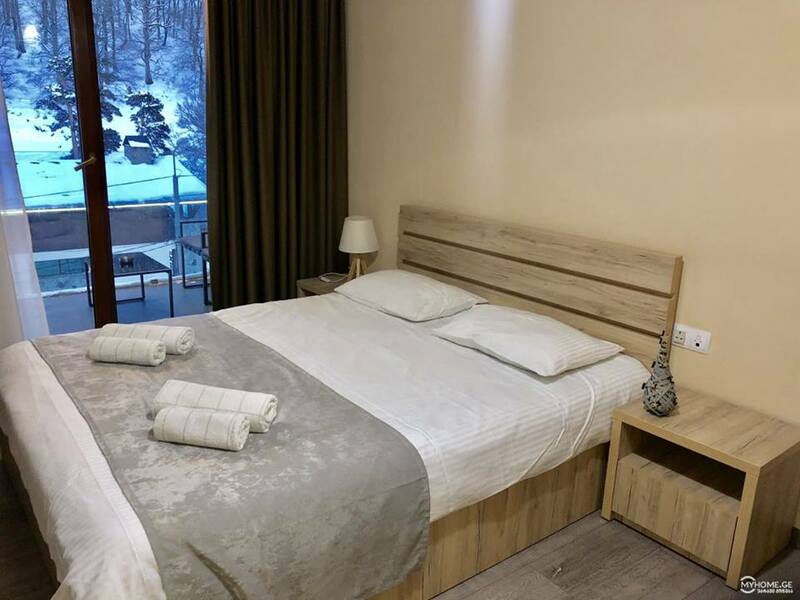 It operates according to the standards of a 4-star hotel and its amenities include: a restaurant with open terrace, kids room, spa with fitness center and indoor pool, ski depot, underground parking, and 24/7 concierge service. All rooms are done out in natural colors and a tasteful design to "enhance the view of the beautiful pine forest outside the windows". Rooms are double, measuring approx. 37 m² with cozy seating areas. They all come with a kitchenette, bathroom with bathrobe and slippers and a flatscreen TV and free WiFi.